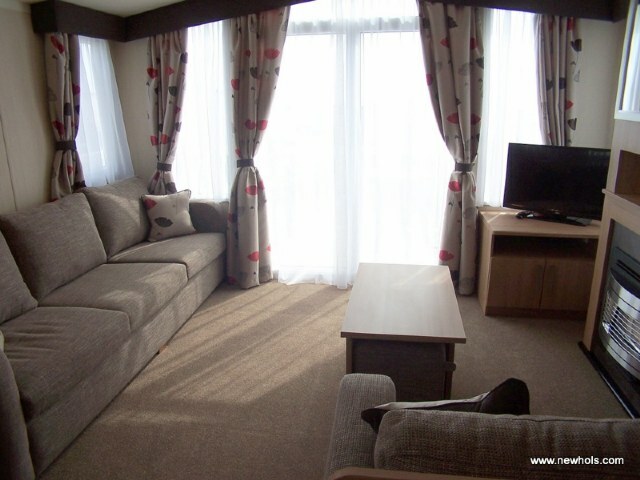 JC175 is a beautifully designed Swift Bordeaux 12’ wide Platinum 8 berth holiday home sited on the Juniper Close development with ramped veranda, own driveway, two toilets, double glazing with central heating, en-suite to master bedroom, fridge freezer, sea views and close to the main amenities. 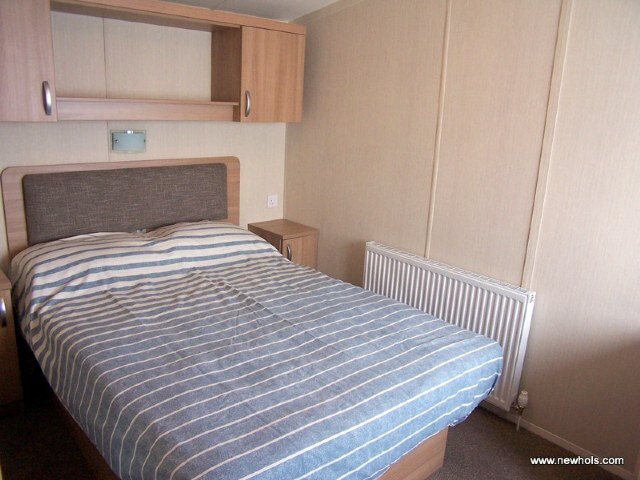 FREE BED LINEN SERVICE: When you book this Prestige caravan for 7 nights or more you will receive FREE bed linen hire, all necessary bed linen will be conveniently left in the caravan ready for your arrival. 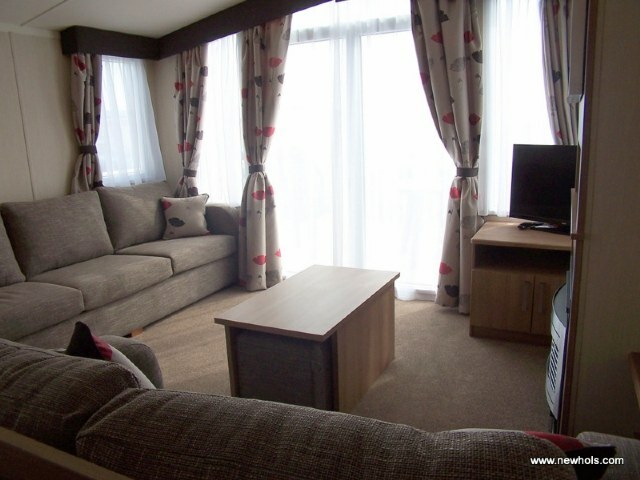 LOUNGE: This holiday home benefits from an extremely comfortable lounge with free standing furniture (includes occasional pull out bed), color TV, DVD and gas fire. 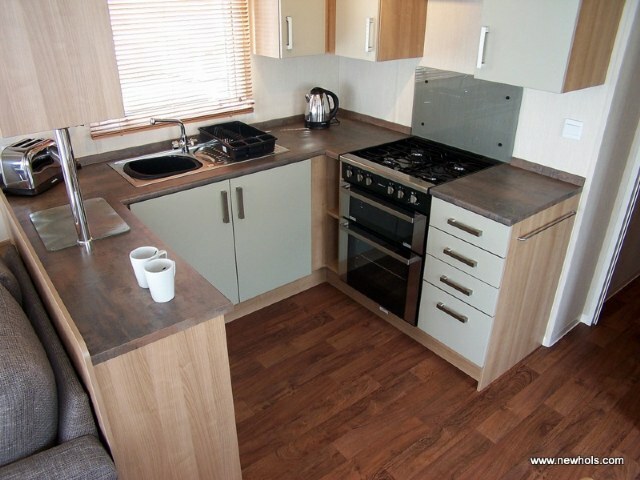 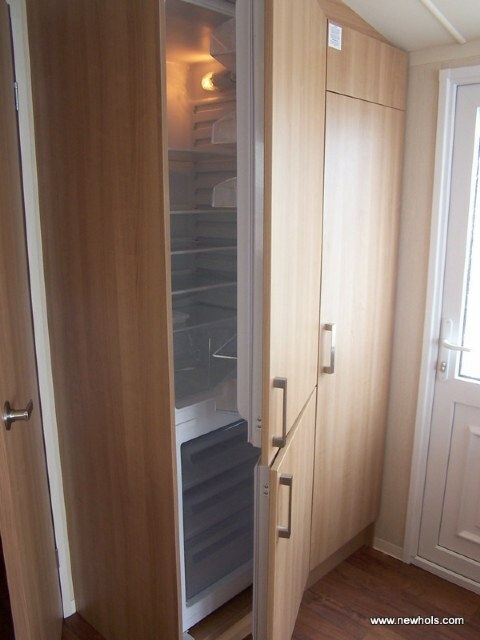 KITCHEN & DINING : JC175 has a lovely modern fitted kitchen furnished to a high standard with full size fridge freezer, cooker and microwave. 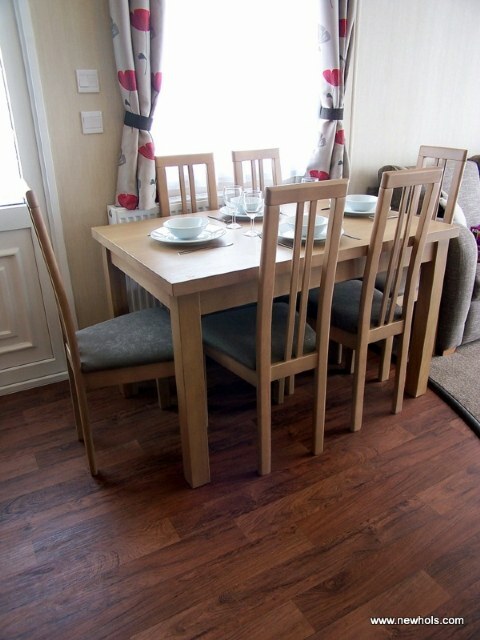 The dining area comes complete with free standing dining table & chairs. 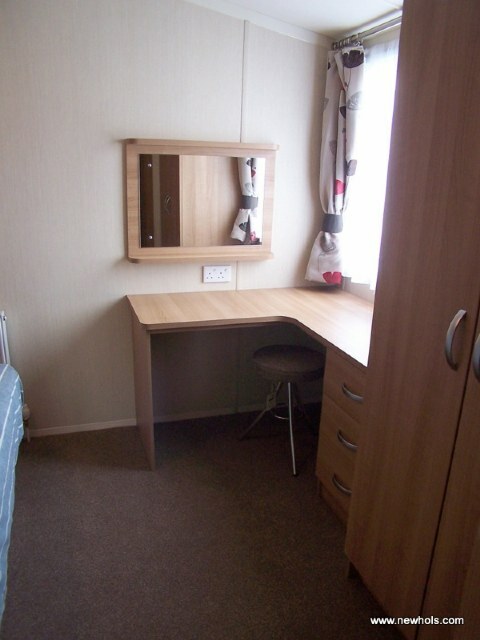 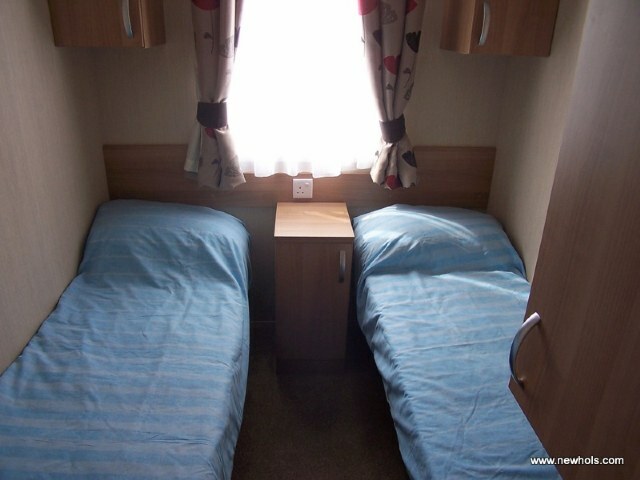 BEDROOMS: This accommodation has three bedrooms, one double with fitted wardrobe, vanity area and en-suite toilet with wash basin, two twin rooms with small fitted wardrobes. 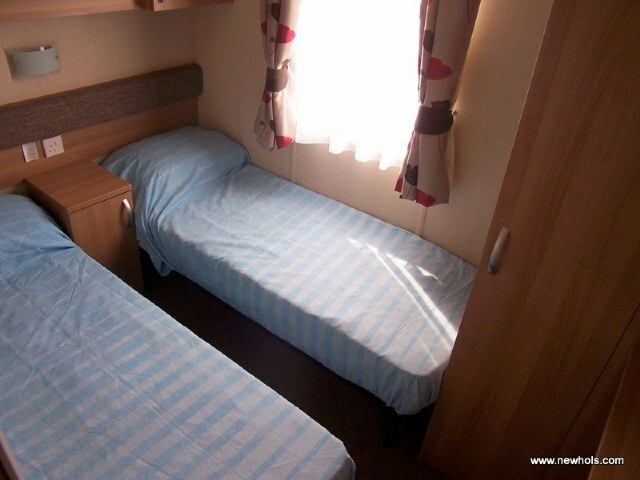 The lounge has an occasional pull out bed allowing JC175 to accommodate a maximum of eight guests. 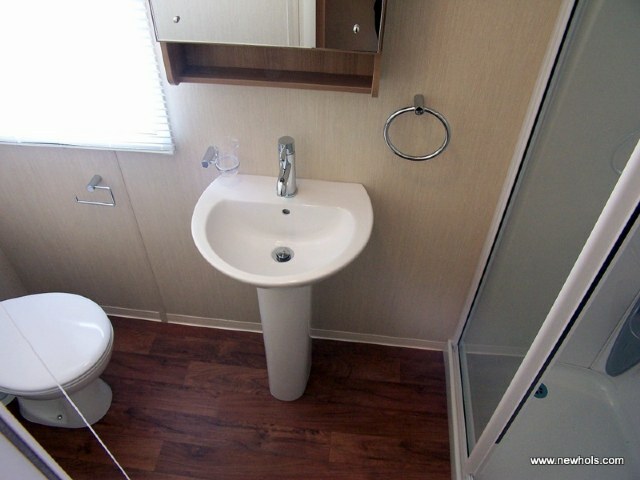 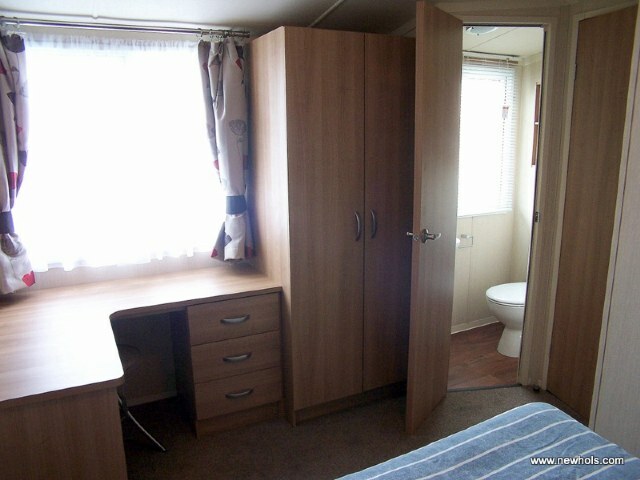 BATHROOM & TOILET; the bathroom is fully fitted with toilet, wash basin and large shower. 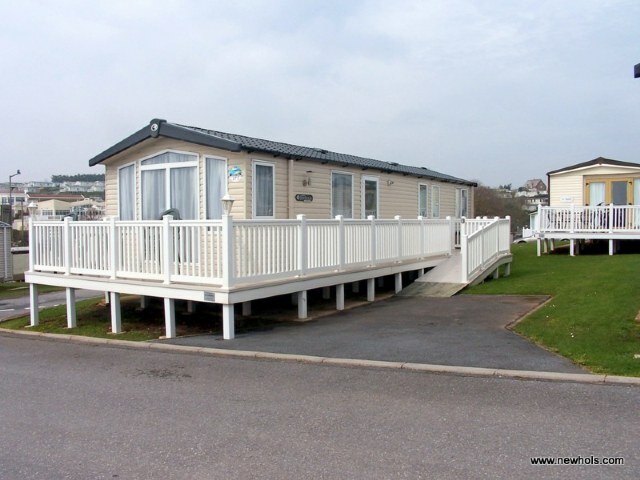 VERANDA; Yes, JC175 benefits from very large front and side veranda fitted with a wheel chair access ramp. 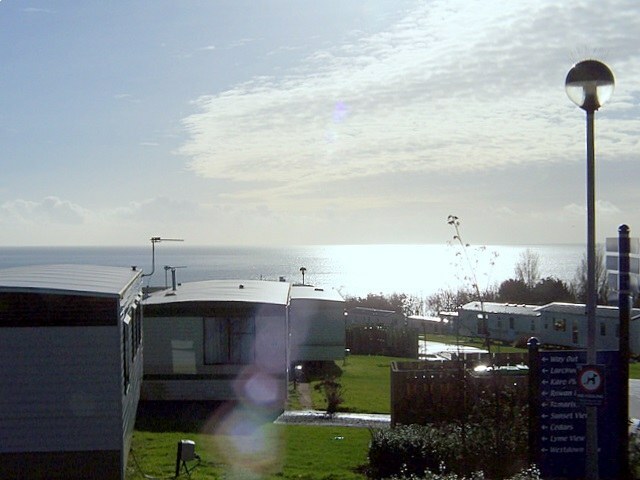 JC175 also benefits from far reaching sea views and patio furniture. 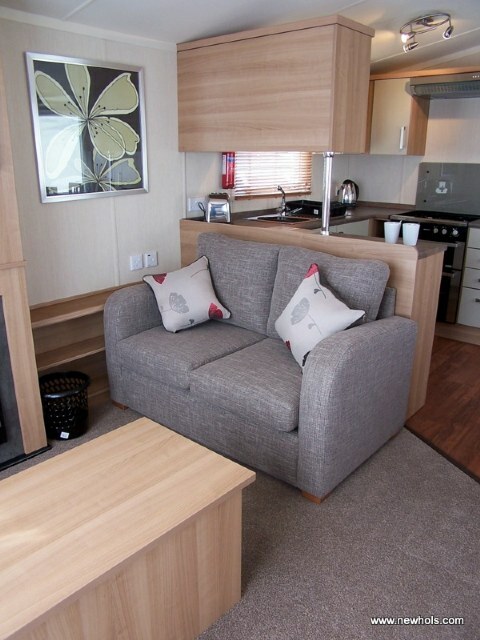 If you require the extra space and comfort and you really intend to unwind and relax then this must be your choice. 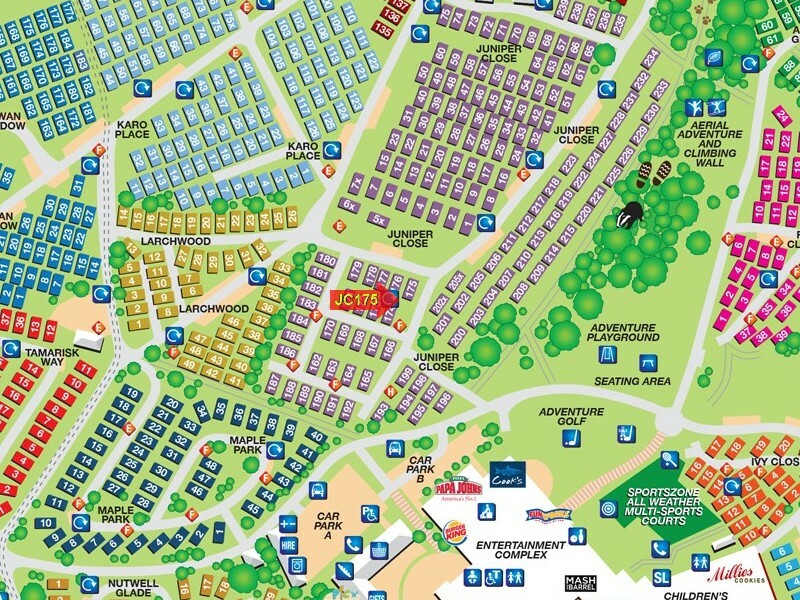 IMPORTANT INFORMATION: Location from main amenities, approx 2 to 4 minute walk.